According to Aleh Barysevich Founder and Chief Marketing Officer at Link-Assistant.Com, backlinks are still one of the main ranking factors in Google algorithm. Consequently, Link Building is one of the most important areas of SEO. In the case of competitive applications’ market, SEO has always and will always play an important role in gaining new users. On our example, TimeCamp is one of many web applications used to handle time tracking in companies (monitoring work time spent on computer projects). In our post, The map of time trackers, we presented an interesting infographic which shows how many time trackers is available on the market. And even though we enumerated over 70 of them, we still haven’t exhausted the topic. 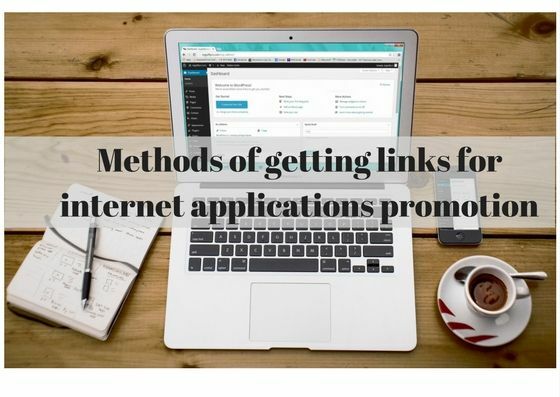 In today’s article, we’re going to describe the main and most interesting methods of getting links for websites that advertise web applications which we use successfully in our company. Different authors, bloggers or freelancers, write about “time tracking” when writing about apps boosting the productivity of workers in the company. They repeatedly give examples of software measuring computer work time. But if in their examples we don’t see our software, it is good to write to them, arguing why it is worth to present our app to the readers of the article, with the request of mentioning it in the post. In this technique, you should focus primarily on what the author will be able to benefit from the article and not aggressively convince him that your software is better than other which he enumerated. The Broken link method consists in searching and using the fact that some websites place links to not existing anymore sites. Then, we suggest the author to change the non-existing link to a new one – for example, a specific post from our blog. By this, we provide the author with a ready solution for eliminating the mistake on his website. Linking sites which don’t work anymore is not cool after all. You only have to find a closed website, domain, and then by using, e.g. Majesticseo, you check all the websites which had the broken link. It is worth asking the users of your app, who have interesting websites or blogs, for a review of your software. In exchange, you can give them a free license for a certain period of time. It is much better to ask old users and not the new ones. Thanks to this you are certain that the software and the license will be useful, even if they cost little, and for them will be attractive. If you come across an interesting portal with a feeling that your potential clients can be the readers of this portal, it’s worth to ask its admins directly if they would like to have your guest post. Then it is good to smuggle some information about your app in the post to attract the audience with your brand. But if you’re interested only in gaining the link to your website, the topic’s content doesn’t have to be advertizing. Then it is enough to place the link in the footer. 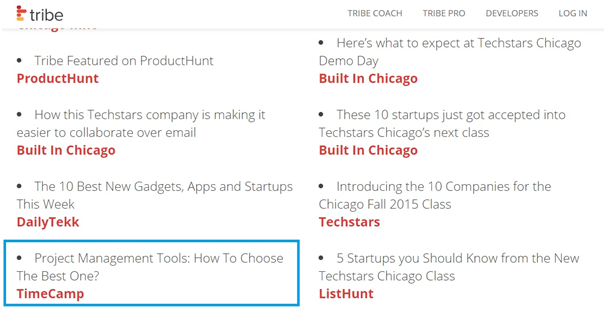 It’s important to create unique content that readers can learn something new from. Unique also means your own. Copying content from other authors is not welcomed in guest posting. It’s okay to quote and mention other people’s text as long as you provide sources. You can learn more about plagiarism and how to avoid it from this extensive guide. Articles on our blog are often based on valuable internet sources and objective surveys so that the user knows that what we’re writing about is reliable. So the summaries of few survey results are concluded the same way. It is worth to look for other articles discussing the same aspects, sharing with them gathered information. Thanks to that we can expect that their authors will share our texts, summaries, and will link to our website putting our blog in the “sources” section. Sharing infographics with other authors is so efficient that we devote a separate section to it. Yes, while creating an infographic, you can expect that it is one of the most valuable contents which you may use to gain a link to your website. On the infographic, you can always place your logo. This will help you spread the word about your blog. We do not realize how many views have portals with job posts. If you are looking for employees (and some of the companies do it practically all the time), adding job posts with the link in content to our Career website or to the home page is also a good method for getting valuable links. Why? Because the visitor on the given job platform has a big motivation to click this link and move to our website. He can also read about what we do, what features our app has, etc. And Google will note that. There is nothing more that develops globalism of our product than useful integrations with other apps. However, it is not that obvious that other applications link to our site. Even if sites of these apps have a “partners” bookmark, they don’t have to link to us because, for example, they enumerate on their website only the most important for them integrations; and there are hundreds of them (see Slack). Sometimes it happens that the developer from our team has to inform the partnership application about integration via a special form. Many websites have a bookmark “They wrote about us” or “Press” where they enumerate all sources which wrote about their brand. You can use it and simply write about them and then inform the administrators of the website about that so that they can put you in this bookmark. If you have a blog and put your heart in what you write, it may happen that your content will be copied by others. That’s nothing bad – sharing the knowledge is an advantage of the Internet. But it may happen that the author who copied our article or its part didn’t list the source (that is, he will not backlink our website). By using tools such as copyscape you can search these articles and ask for listing your website as the content’s source. Sometimes it may happen that your article is translated into another language. How to detect it? Unfortunately, it’s not so easy. You have to be lucky to find it.If you know the answer to the question “How to identify an article on other websites which is a translation of your article but not containing the source link?”, please share your opinion and knowledge about the right method with the readers of my article. How To Promote Your Software Online? 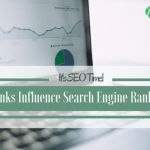 It's SEO Time: How Links Influence Search Engine Rankings?